When we first got married my husband could not believe the amount of cheese I ate. 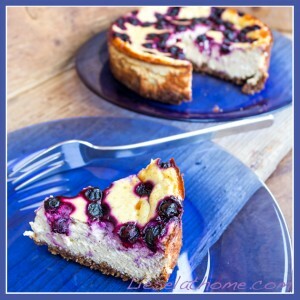 I love cheese in almost any form and so it comes as no surprise that I also happen to love cheesecake. 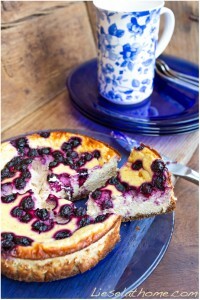 My favorite cheesecake so far is a blueberry cheesecake by the Swedish baking goddess Leila. It is hard to beat that one – it even contains melted white chocolate! Double yum! Maybe one day I’ll loosen up my restrictions enough to include white chocolate in my diet again (?) but until then this grain free and “processed sugar”-free version is still pretty awesome! Turn the oven on to 180 C (360 F) and decide what form you are using. I did not want to risk having to much left overs to snack from for days so I used the tiniest cake form I have(14 cm – 5.5 inch wide) . It makes just about 4 pieces – which is perfect for my family. 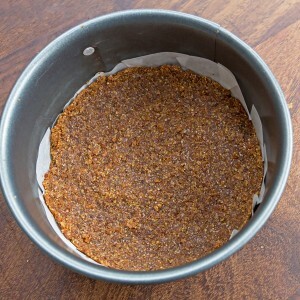 Even though this is a spring form (where you can remove the bottom part) I still like to put a piece of parchment paper underneath to keep the crumbly part of the cake from sticking to the form and fall apart. I had several go’s on how to make the bottom of the cake until I settled for this one because it is both a bit chewy and sweet. 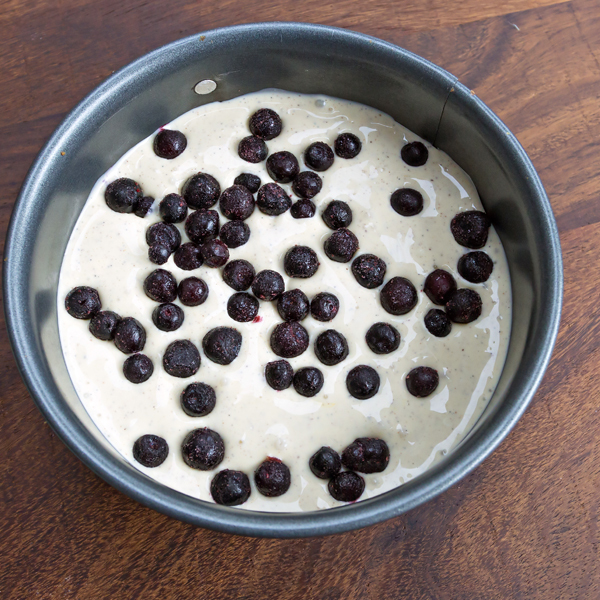 mix and spread over the bottom of your baking form. 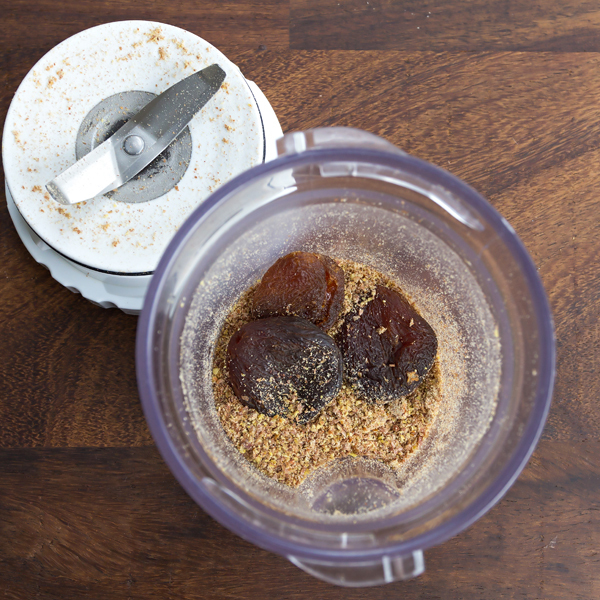 Press with fingers to make it a bit sticky. Now – if your form is bigger than mine, just double or triple the amounts above. 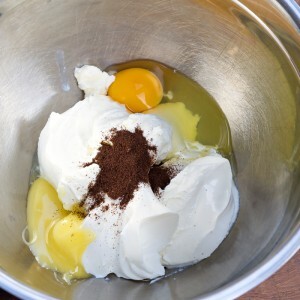 Once mixed simply pour the cheese mix into the form. Sprinkle a few (frozen or fresh) blueberries. ← Another use for spinach – pancakes!